Hey there. 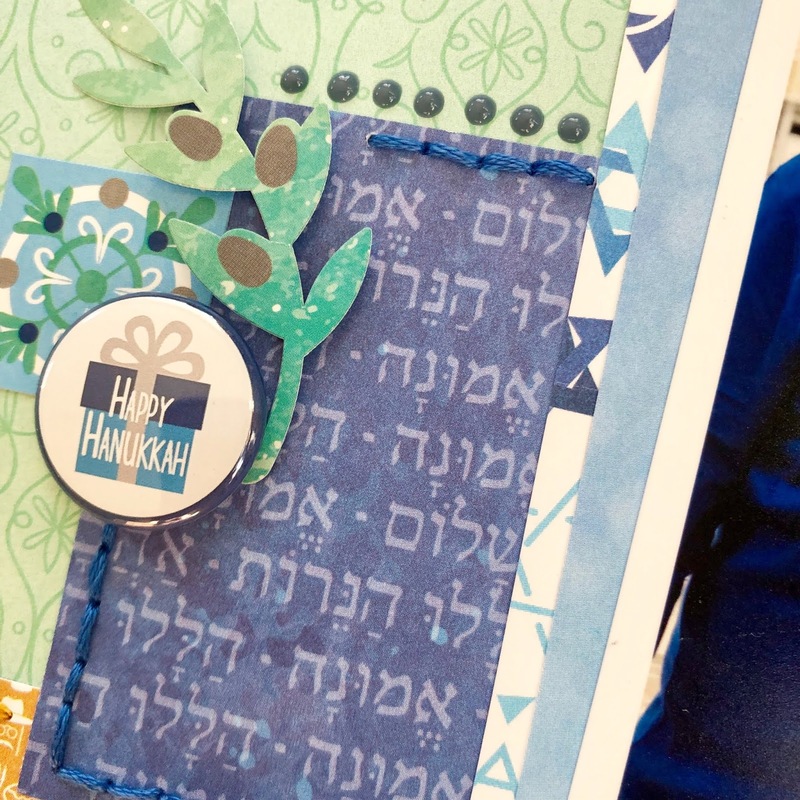 I'm on the A Flair for Buttons blog today. I have a really simple project to share, but I have to tell you, the flair made all the difference in it! Yes, I'm still working my way through my holiday photos. 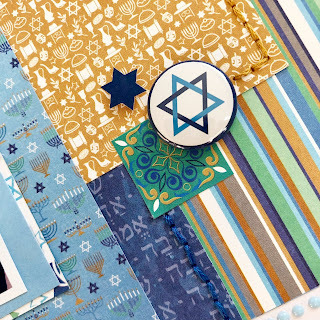 I love this Happy Hanukkah paper collection by PhotoPlay. 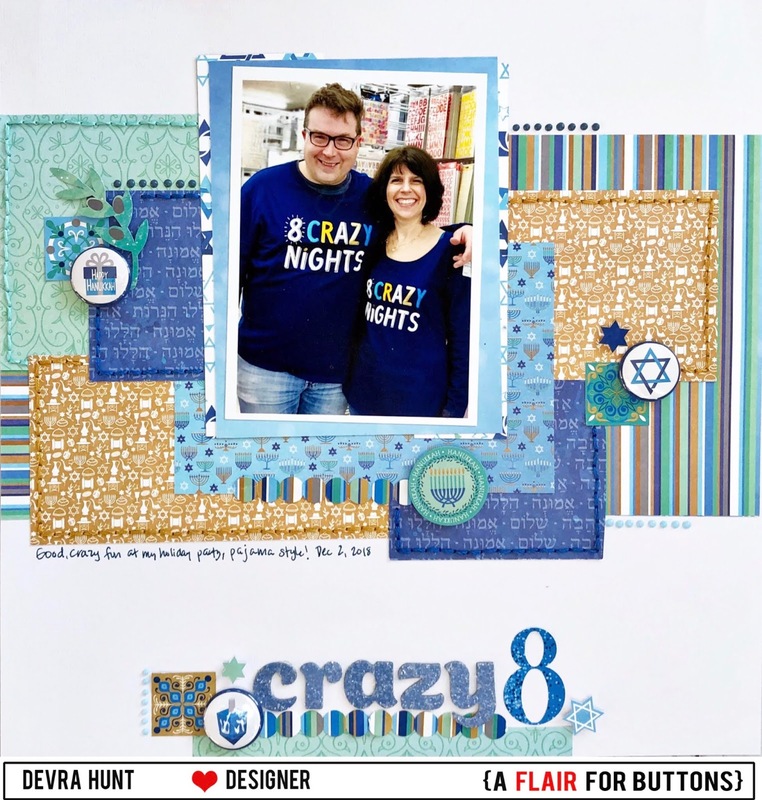 The colors are wonderful, the patterns are fun, but it doesn't have a lot of embellishments. 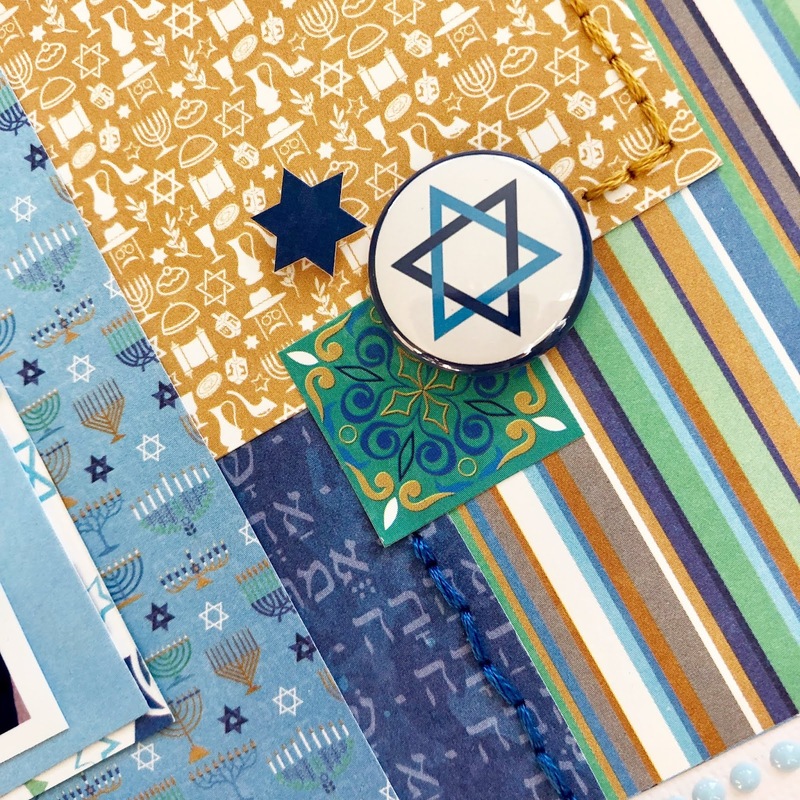 Let me tell you how thankful I am to have this completely incredible Hanukkah Flair set! My page is very linear. 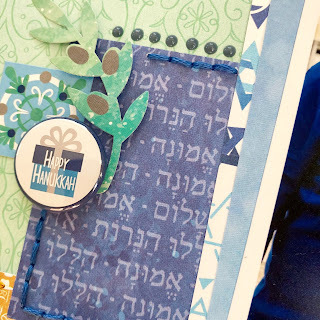 The flair not only gives it dimension, but they made the whole page pop! My husband and I got into the Pajama Party spirit at my work holiday party. Matching PJ's were the way to go. Comfy and Crazy for sure! 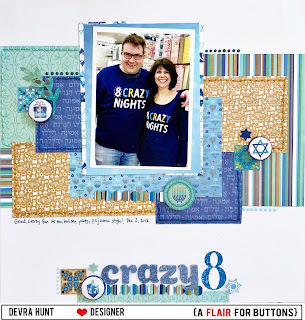 Look how well the colors work together! The star and gift flair are a fantastic match to the papers. 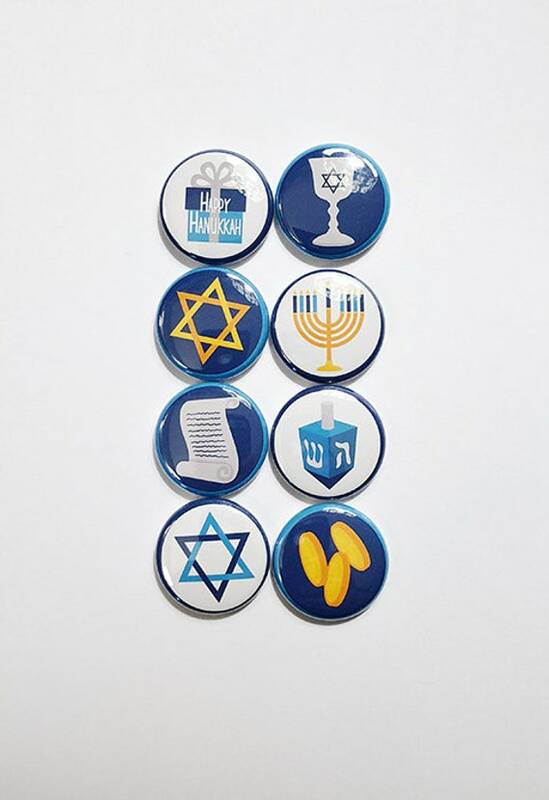 This flair set is great and can be used for more than just Hanukkah. Thanks so much for stopping by my creative view today. Come back again soon, I will have more to share!